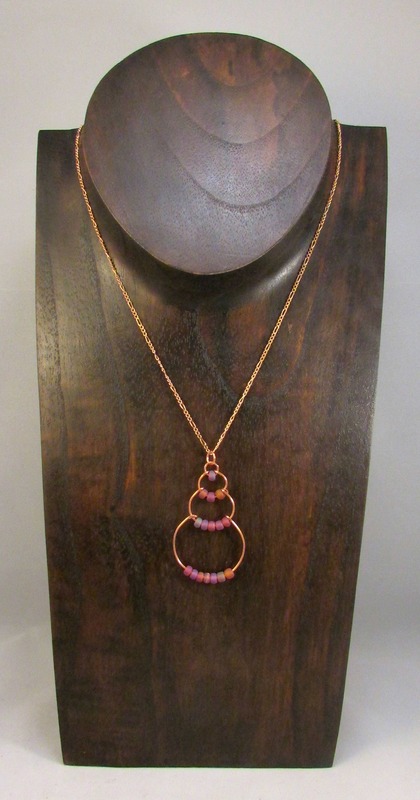 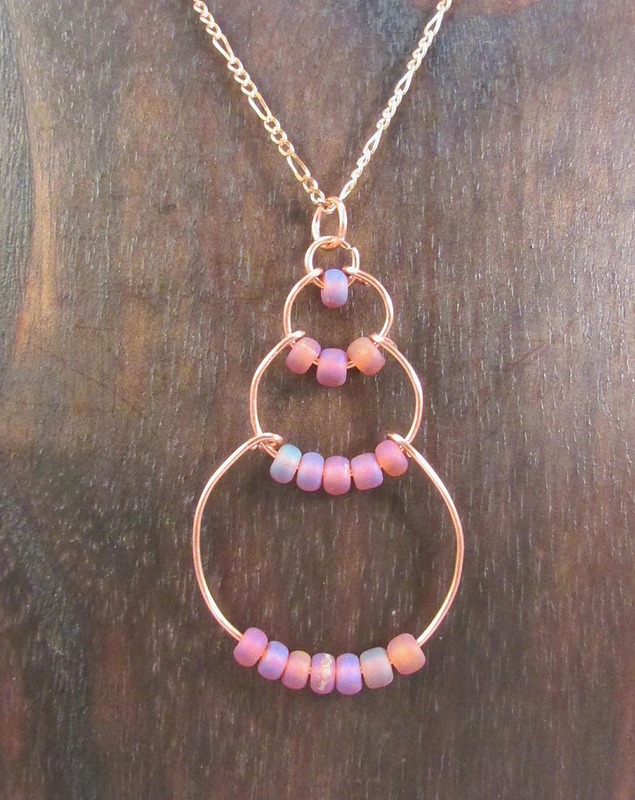 This simple and elegant necklace features delicate bubbles made of copper wire adorned with purple frosted glass beads. 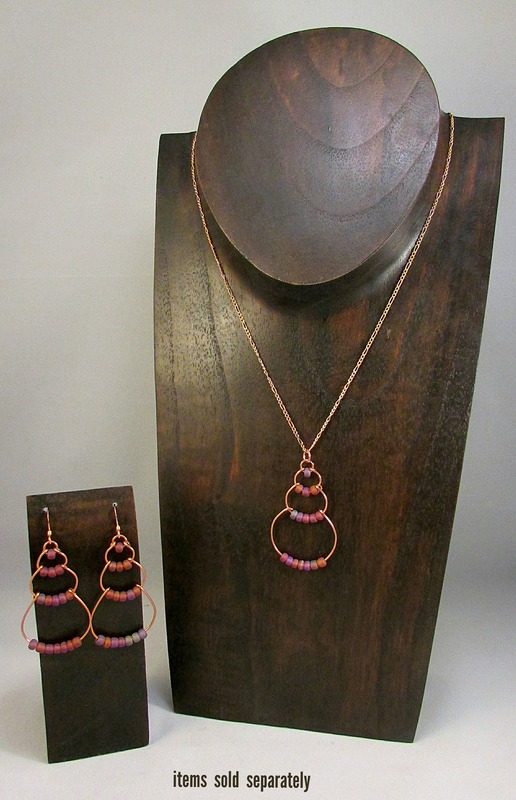 Perfect for an everyday look, and lightweight for comfort! 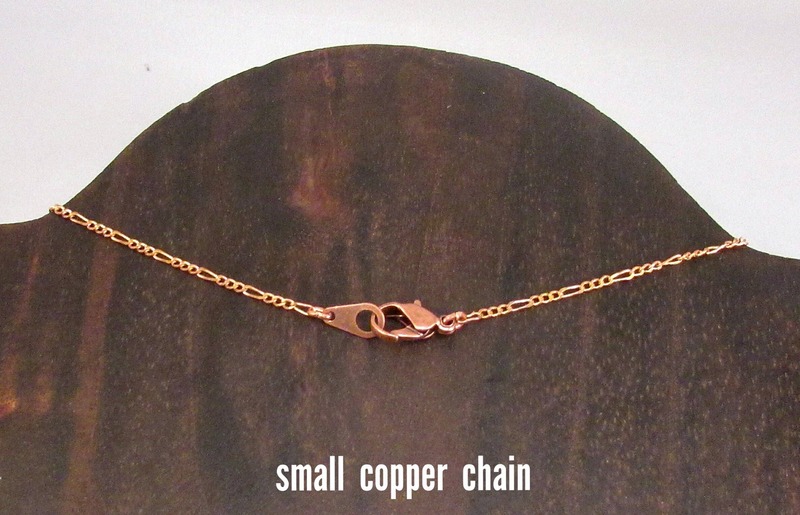 Multiple options are available with this necklace. 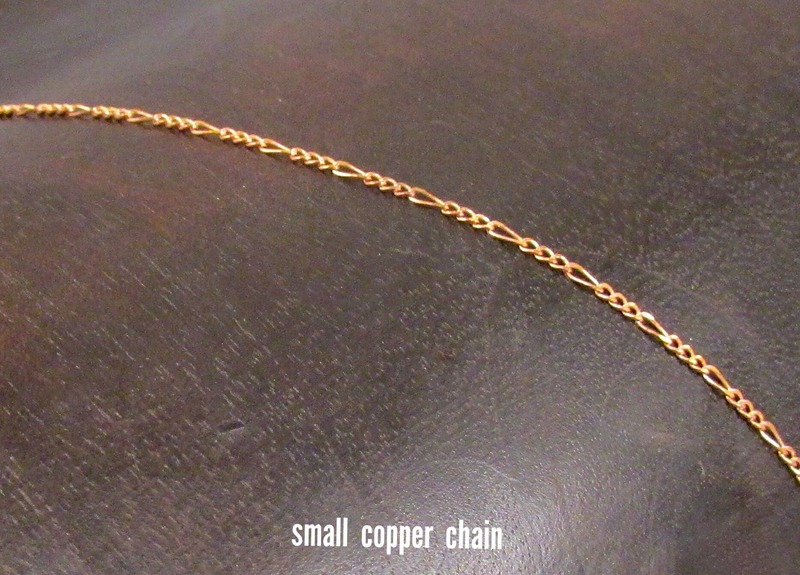 It can be purchased as a pendant only or with a small copper chain. 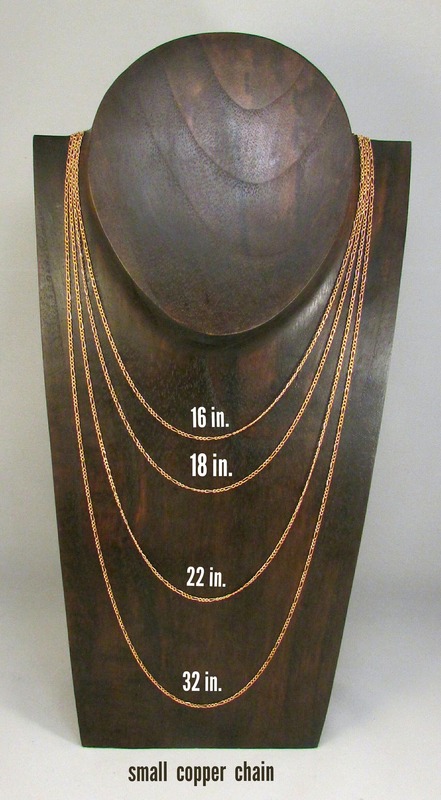 The chain is available in 16 in, 18 in, 22 in or 32 in. 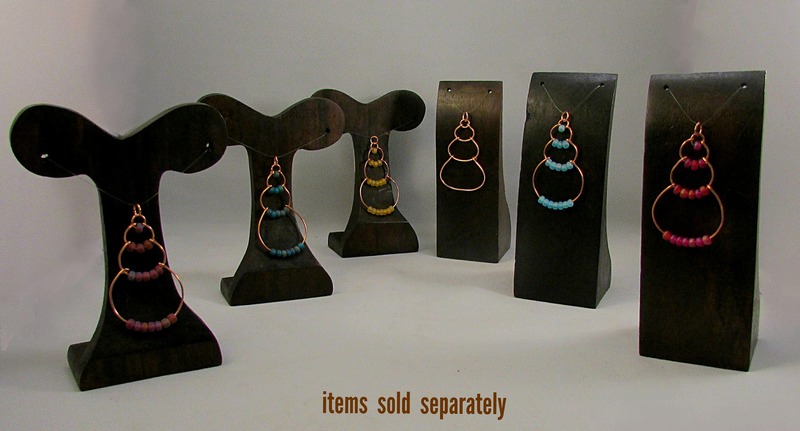 Please make sure you have chosen your ideal combination before checking out.